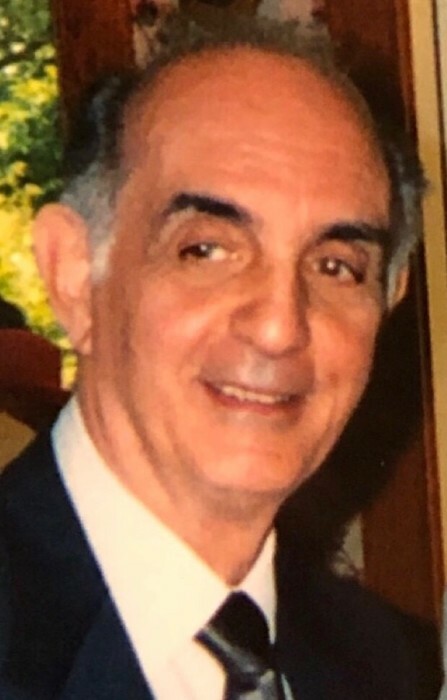 Obituary for Vincent E. Malaga | Nardolillo Funeral Home, Inc.
of Glocester, passed away Saturday, April 6, 2019 at Philip Hulitar Hospice Inpatient Center in Providence. He was the beloved husband of Ann T. (Carpenito) Malaga and the late Elena B. (Crenca) Malaga. Born in Providence, he was the son of the late Joseph and Catherine (Martullo) Malaga. Vincent was a sales representative for United Restaurant Equipment for many years and a U.S. Army Korean War veteran. Besides his wife Ann, he was the devoted father of Joseph M. Malaga and his wife Susan of Cranston, Carole A. Malaga and her fiancé William Balkun of Johnston, and Vincent J. Malaga of Shrewsbury, MA; loving grandfather of Jaclyn Malaga and her husband Gary, Danielle Malaga and Robert Discuillo; cherished great-grandfather of Dawn Marie Malaga; and dear brother of the late Joseph Malaga. Visiting hours to which relatives and friends are invited, will be held on Thursday, April 11th from 4 p.m. to 8 p.m. in the NARDOLILLO FUNERAL HOME & Crematory, 1278 Park Ave., Cranston. Inurnment with military honors will be private. In lieu of flowers, memorial contributions may be made to: RI Veterans Home Fund, 480 Metacom Ave., Bristol, RI 02809.